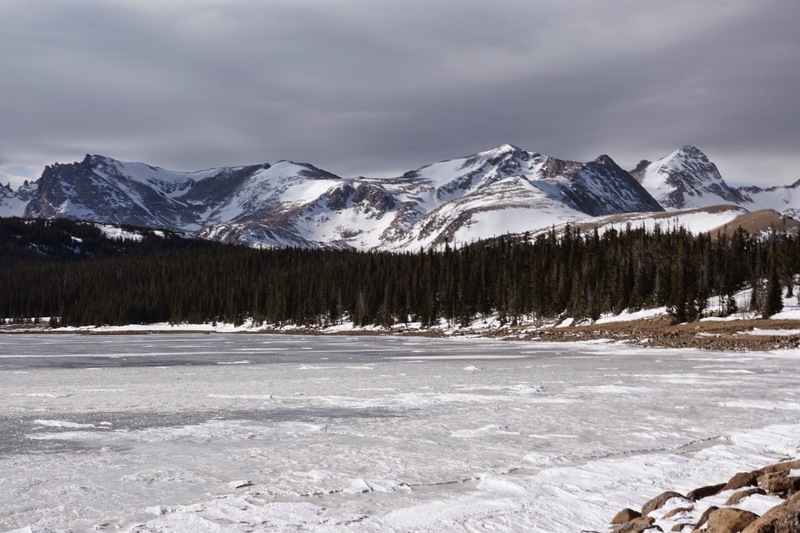 Directions: From Nederland, follow Hwy 72 (Peak to Peak Hwy) north to the town of Ward. 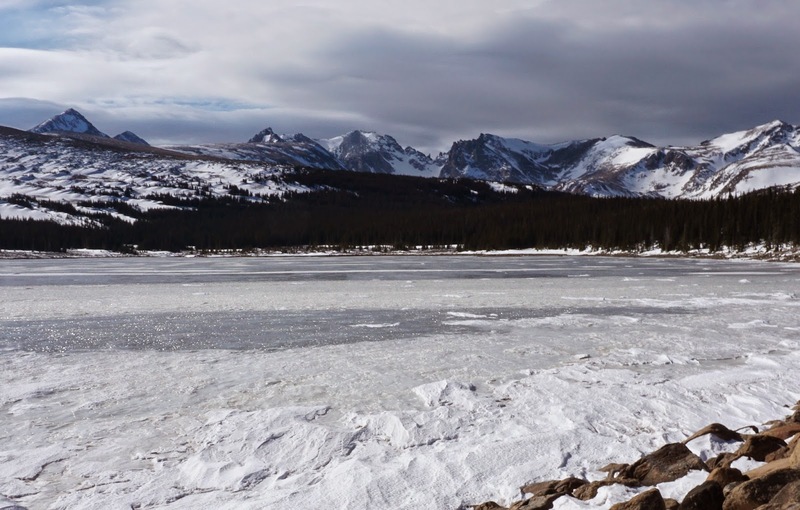 Look for the sign for Brainard Lake Recreation Area and turn left (west). Follow the windy road up to the main parking area just before the entrance station. Park here, the road to Lefthand Park Reservoir is on the left side, just before the Entrance Station. 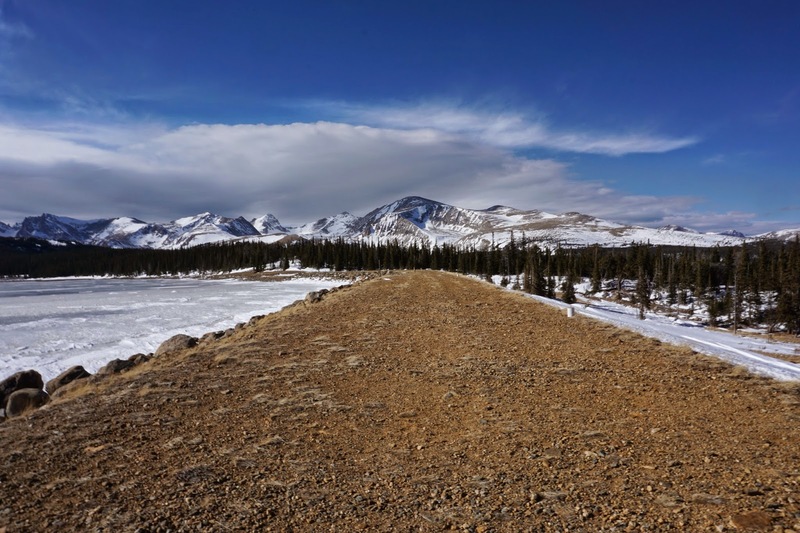 The road to Lefthand Park Reservoir is a popular road in the summertime. 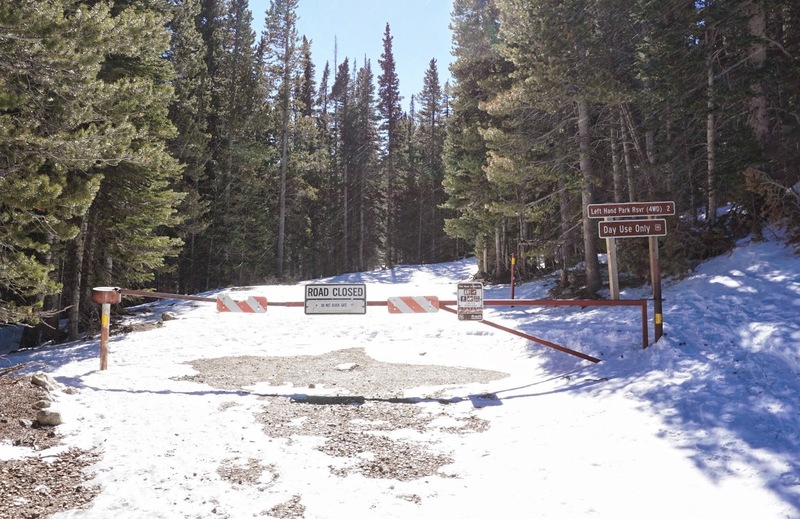 In the winter, it is closed to motor vehicles and provides a wonderful snowshoe and cross country ski trail. 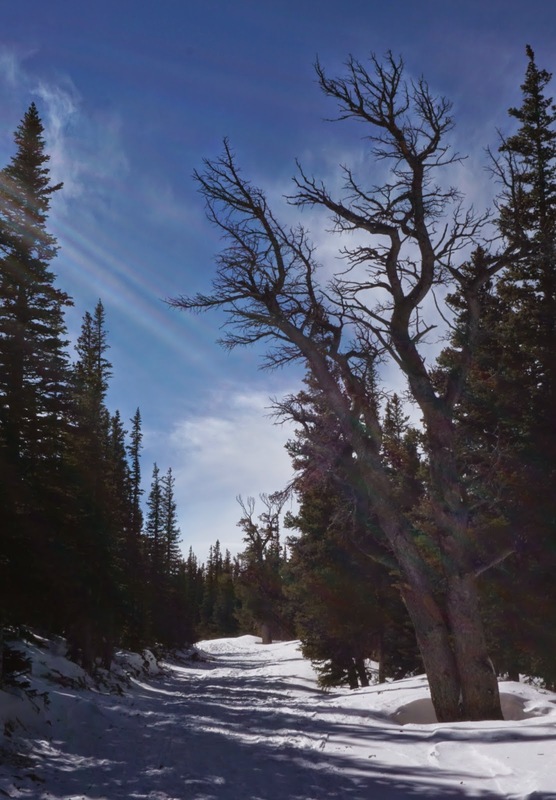 The road is wide, snow packed, and easy to follow. 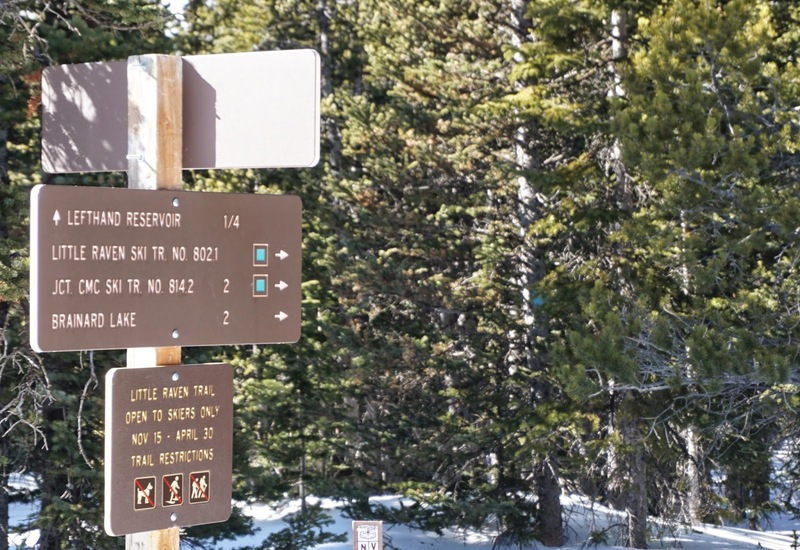 The road is marked as an easy cross country ski trail, but it has a few steep sections. 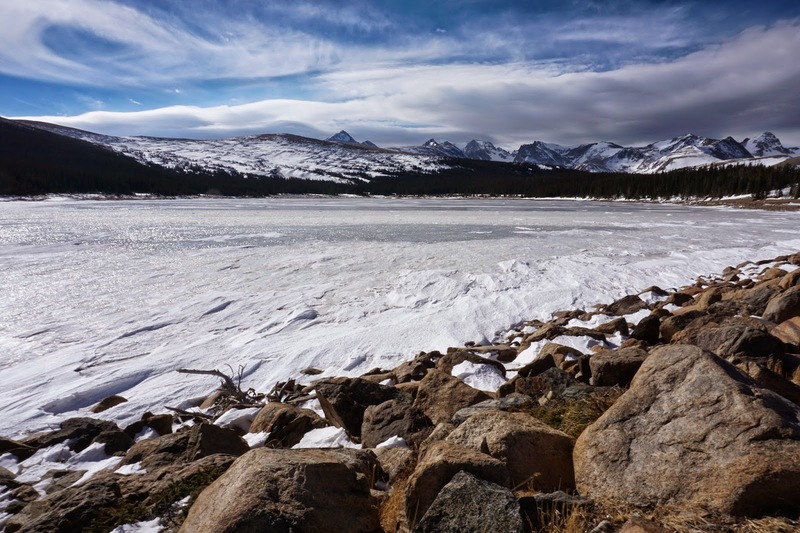 Otherwise it is a moderate grade all the way to the Reservoir. 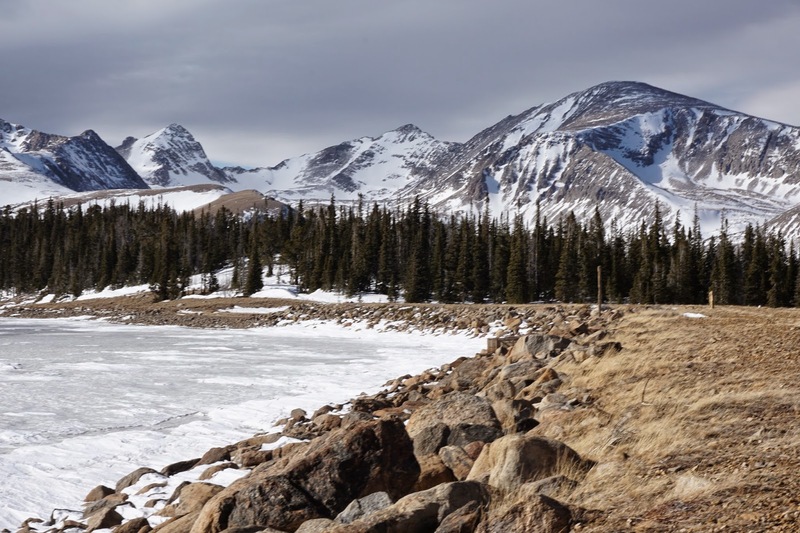 There are various side trails that you can explore and it is possible to make this into a loop with Brainard Lake. 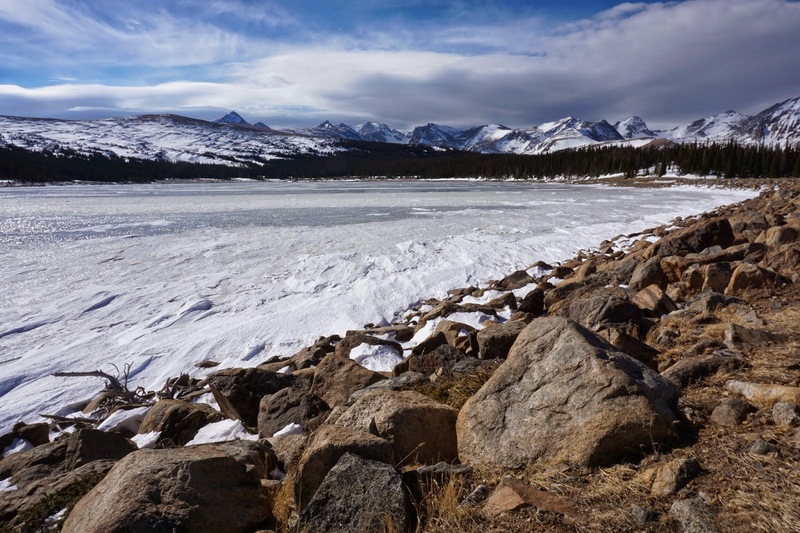 Lefthand Park Reservoir is a worthy destination. 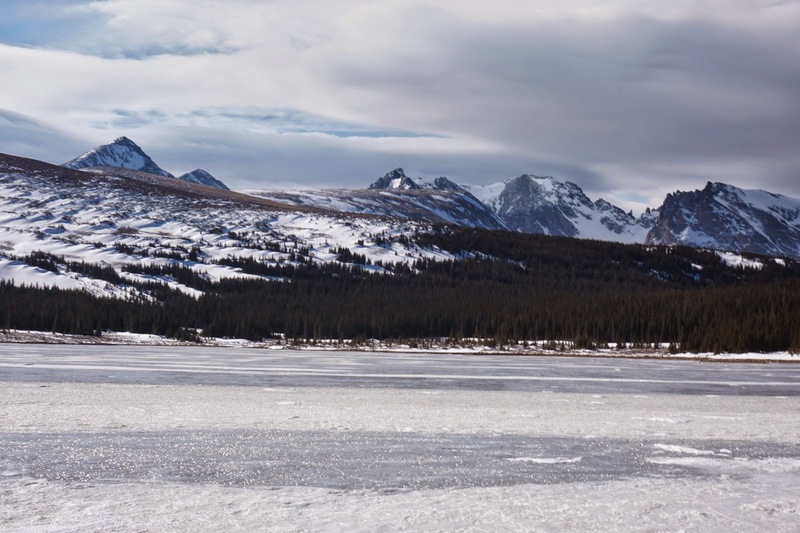 The views of the Indian peaks are tremendous and in my opinion better than the views from Brainard Lake. 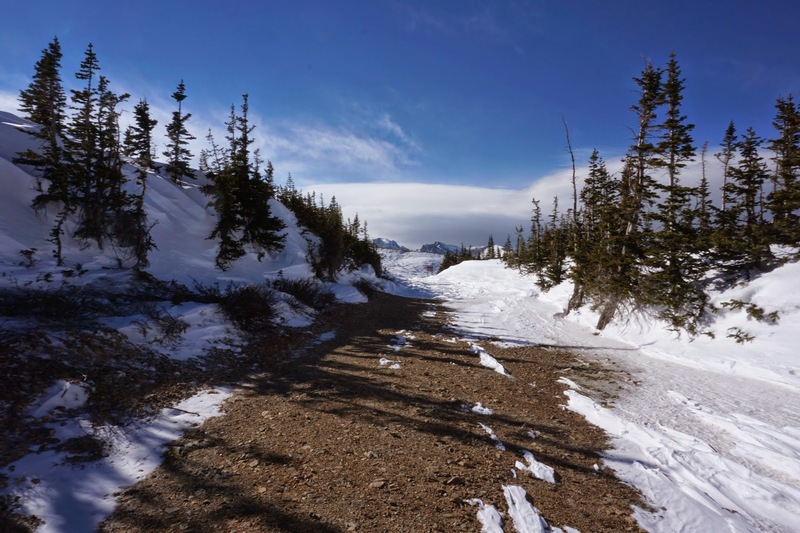 This trail also see's far less traffic in the winter than the nearby Brainard Lake Road, also popular with skiers and snowshoers. There is not much in the way of directions here, simply follow the road. There are two signposts along the way to help you make sure you are on the right track. At the 2nd signpost, you need to bear right, staying on the road. 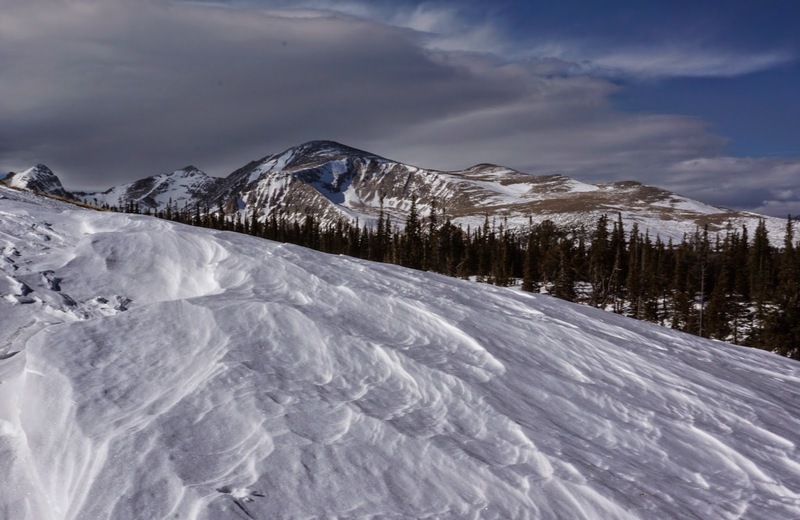 Overall, this is a easy to moderate snowshoe trail with a fantastic payoff. 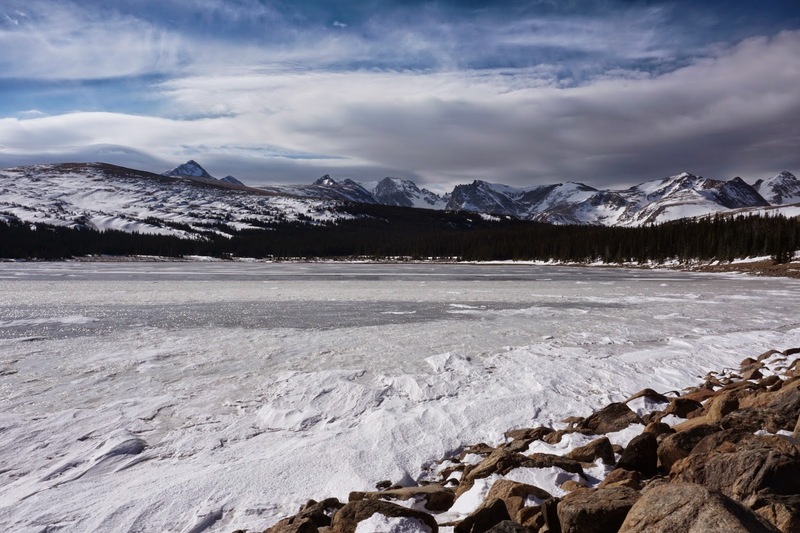 As long as the winds are not too brutal at the reservoir you should be able to enjoy the majestic splendor of the Indian Peaks in the winter.